I started working on this design last fall in hopes of completing it by December, in time to give the finished worked design to my sister as a Christmas gift. Missed that by several months, but I did finish (success!). 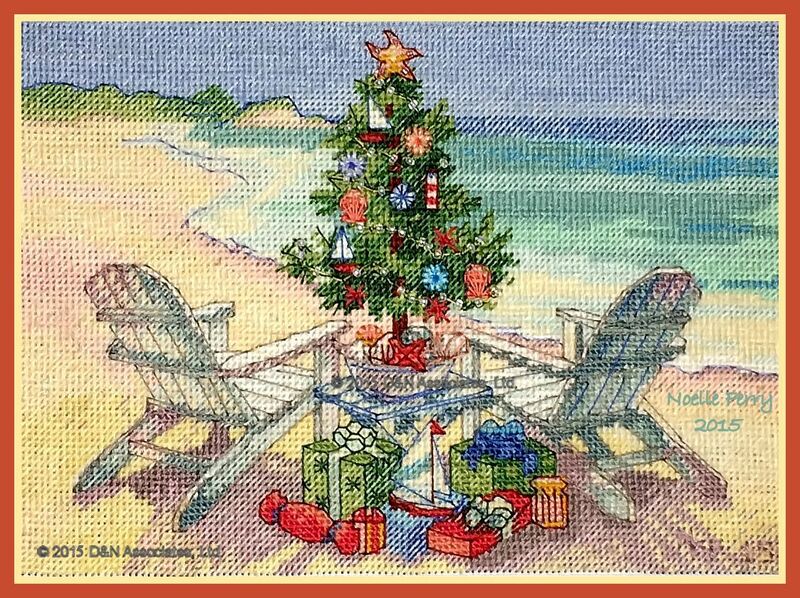 My sister enjoys the beach, but lives many miles from sandy shores so I mailed this to her the other day so she can enjoy a bit of Christmas and beach. 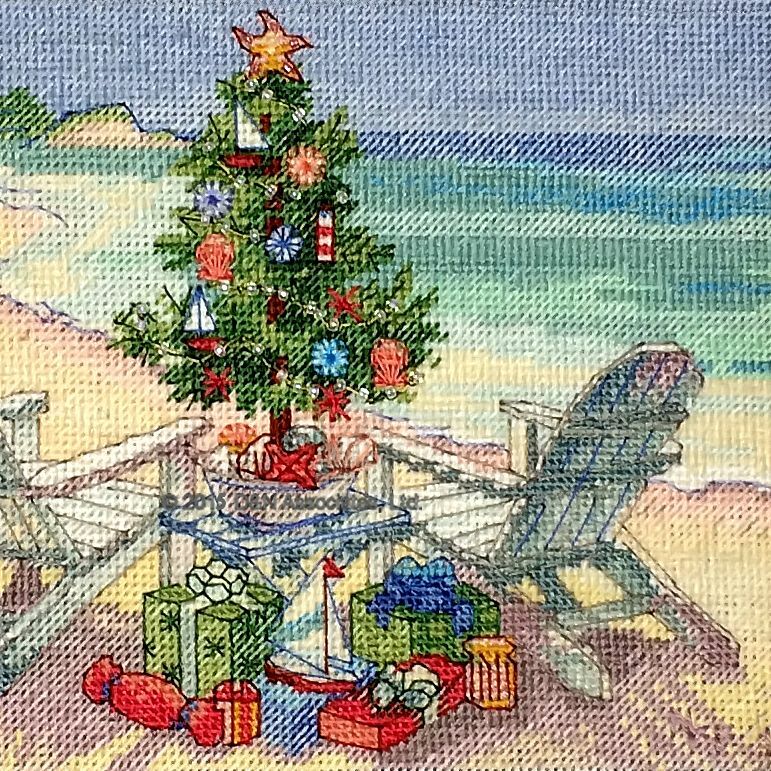 This is a counted cross stitch worked on 18 count white Aida. 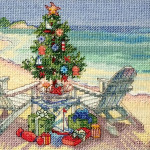 The design is called Christmas on the Beach and is a Dimension kit (Gold Collection Petites, design number 70-08832). Designer is Bradley Clark. I think he did a great job in color choices and getting so much detail into a small design. Worked area is 7 by 5 inch, worked in stranded cotton (provided with the kit). 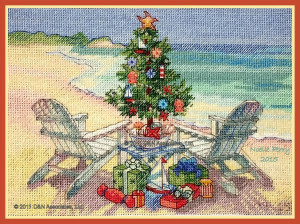 My eyes aren’t good enough for tiny, tight cross stitching so I worked it mainly in two strands of half cross stitches using three strands or full cross stitches in those areas where I wanted a stronger show of color.